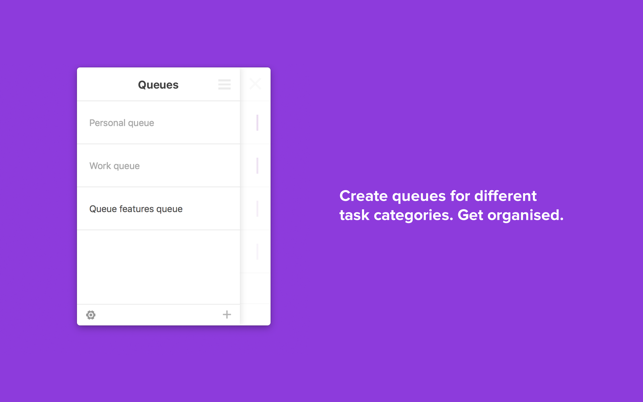 Queue is a todo list menu-bar app that is inspired by the priority queue data structure. Complete one task at a time! Feel free to make feature requests or give any feedback by emailing me at dev@beingadrian.com or by tweeting to @beingadrian. 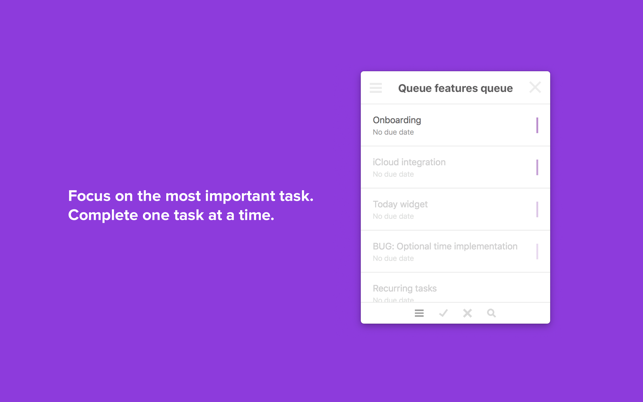 Queue is a side project of Adrian Wisaksana. 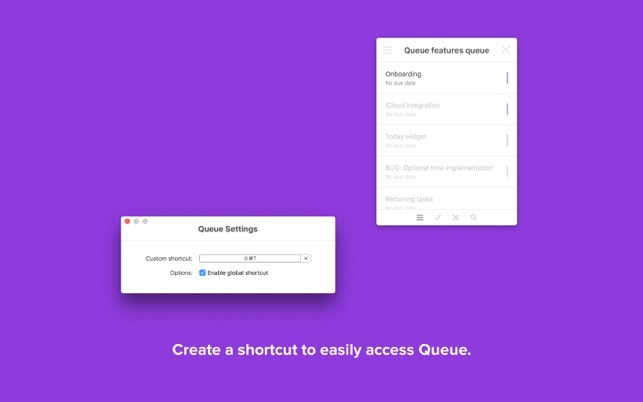 Queue is now a menu-bar app! 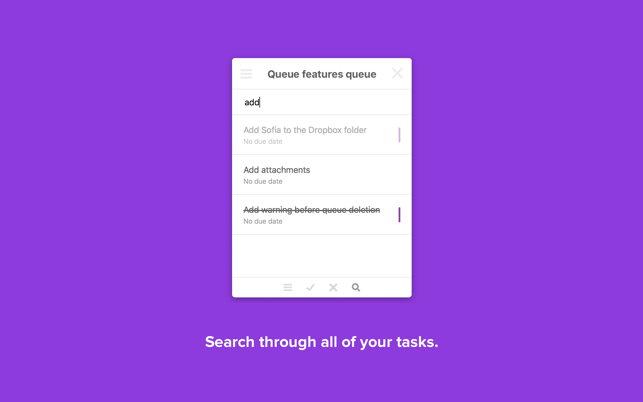 After receiving some great feedback, I've decided to transform Queue into a handy menu-bar app while still preserving its core essence and functionality. 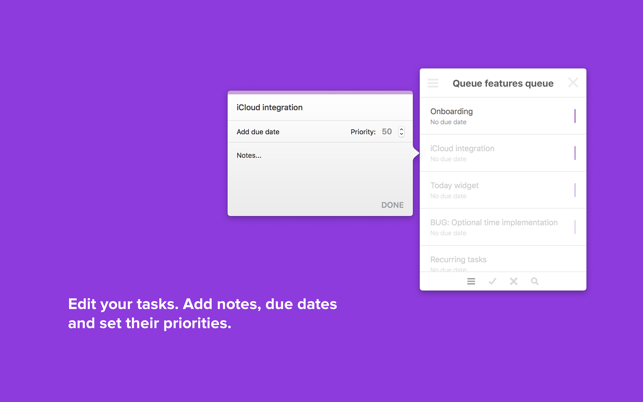 Awesome new way to looks at productivity! This app is really great at keeping a list of things for me to do but unlike any other todo list it really helps me focus on one task at a time. This helps me stay productive and gets me to finish important tasks omn time! 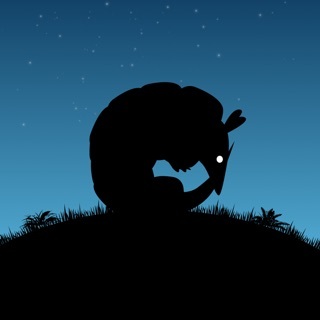 Great app and it’s even free! Maybe it works for other people. Its doing absoluteldy nothing on my MacBook Pro. If it’s purpose is to put its icon in my menu bar then it succeeds. However I want a todo list. I click the icon and nothing happens. Nothing. Worth every penny I paid for it.